Interaction 19 takes place in Seattle, bringing a diverse group of interaction designers, theorists, and industry leaders together to tackle next-level design topics under the theme Design in the Wild. It’s the kind of event you sign on for as soon as the next one is announced – we did! This is our second year in a row attending, and we can’t wait for the festivities to begin. Actionable takeaways and thought-provoking insights? Yes, please. More than a reason to grab a cup o’ joe and catch a glimpse of the Space Needle, IXD19 offers a chance to explore current challenges and opportunities faced by designers. Complex topics will be tackled during sessions on design practice, responsibility, and outlook. We recommend “Unpacking the theme” for a deeper understanding of what’s in store before your trek into the wilderness. We’ll be there for the main event: the three-day conference packed with provocative topics like the role of ethics in design, artificial intelligence in UI, and designing for inclusion. The stellar lineup continues with an impressive collection of presenters including design and disability self-advocacy group founder, Liz Jackson; designer, creative director, and future-shaper, Ayse Birsel; and author, designer, and brand adviser, Marty Neumeier – among others. Marty’s books are brain food for the brand world, many of them filled with golden nuggets like this one – the sort of thing we’re looking to hear more of during his keynote at IXD19. We’re all about increasing brands’ consistency – making them better, stronger, and ultimately more powerful. Design, in all its glory, is a crucial component of that. Understanding the needs and goals of designers helps us to create more efficient and comprehensive solutions. 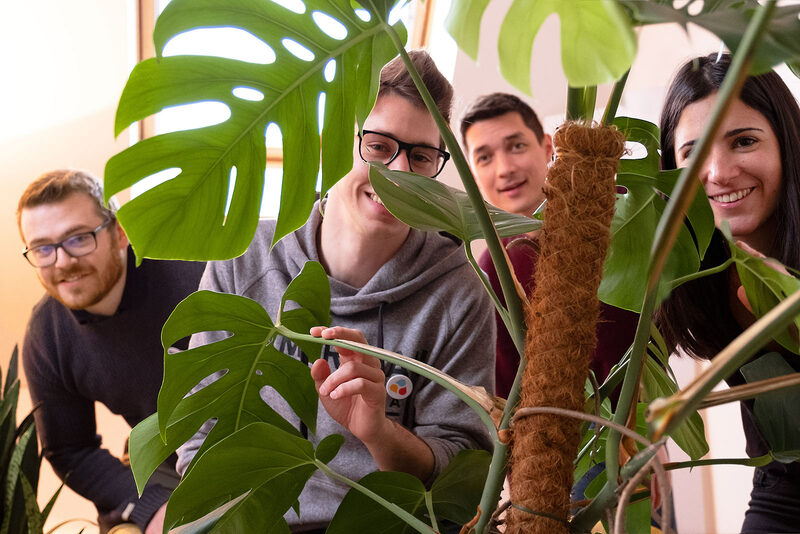 Interaction 19 is an opportunity for us to sustain that relevance, gain firsthand perspective, and also share how we can help teams work better together (high-five for collaboration) through improved design systems. Simplifying processes and creating a single source of truth – where all brand assets, pattern libraries, guidelines, and projects live – is kind of our thing. We’ve yet to meet a designer that wants to make their job more complicated, so it’s a no-brainer for us to be at IXD19. 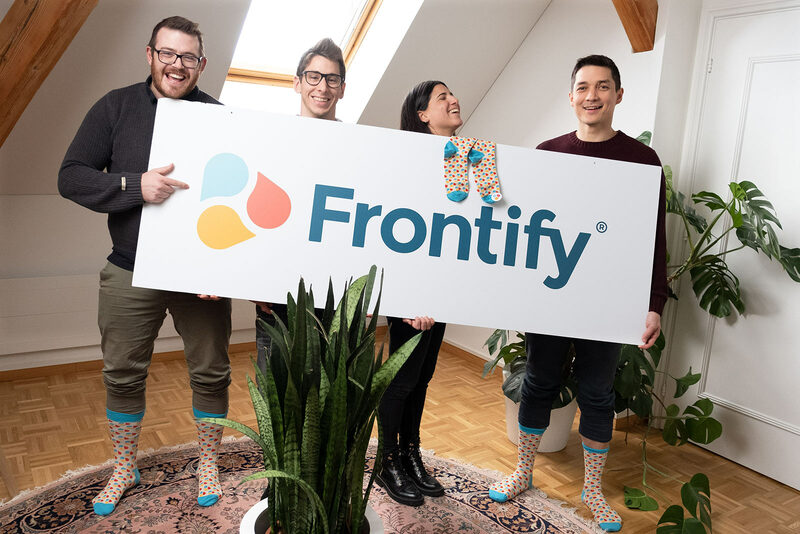 We’re coming your way, Seattle, along with a fashionable new booth where we’ll host Frontify demo sessions and dole out swag like our signature socks and (ready for it?) Swiss chocolate. 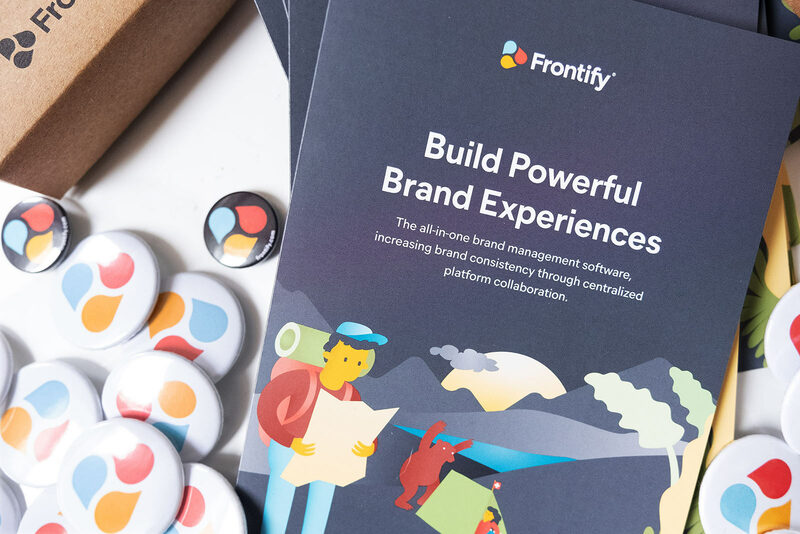 Stop by to see how we can help you find clarity and consistency in the rugged unknown with our all-in-one toolkit for building powerful brand experiences. Oh, and if you’re curious, ask us about our plans to get cozier in the US (hint: our stateside appearances are going to be much easier soon). Make sure to follow us on Twitter during the event for live coverage and updates. Then find your way back here for our follow-up, with highlights and key insights from IXD19 shortly after the event wraps up. In the meantime, if you’ll be there as well, let us know if you’re down to meet because a) we like making friends, b) we’re literally bringing a truckload of Swiss chocolate and we can’t eat it all, and c) chances are that you’ll really like what our software can do for your brand. See you in Seattle, folks.